While you are in the middle of your normal computing sessions on your system, there are chances that your Ethernet connection drops too frequently. In some cases, your printer might fail to work in the normal mode or say, there might be loss of performances found in video drivers. If you are finding it hard to guess the reason behind it, here you go.It is mainly because the device drivers in your system aren’t installed properly. If at all they are installed, they might have become outdated. I would recommend you to keep your system up-to-date at all times, to keep yourself equipped with the latest features and enhancements. Whenever you attach a new device to your system, say a hard disk,speaker or a pen drive, the Windows’ operating system launches on the generic version of it. And thus, you will obtain obtain all the basic functionalities associated with the particular driver. But if you are in need of more features, then there are plenty of softwares out there which can easily be downloaded from the manufacturer’s web sites. Here, I will introduce you to the world of four new softwares which were developed for the sole purpose of updating the drivers. One advantage of doing this is that, they will automatically scan which drivers are out of date and prompt you to update them. The Driver booster, a product of IObit, has proved itself to be the best tool for installation of outdated drivers. 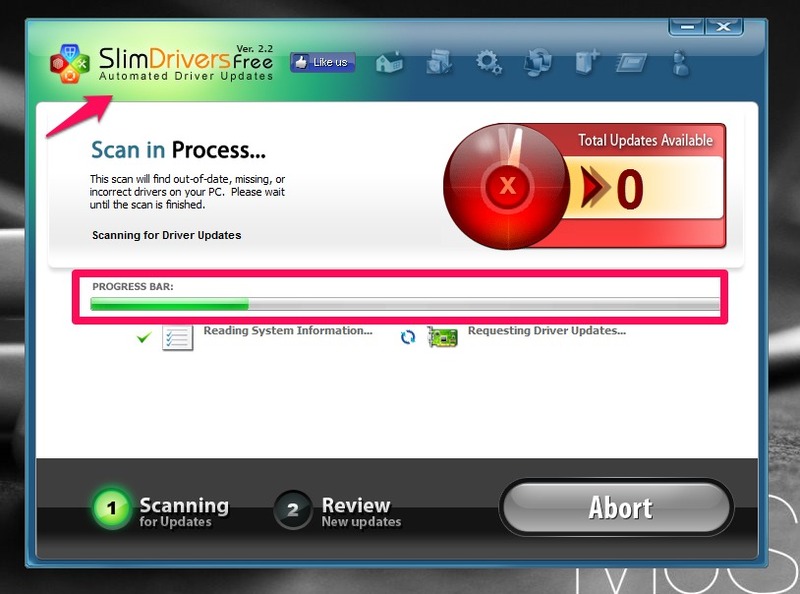 It automatically runs a scan, and whenever it finds that a driver is not up-to-date, it launches all the required installation files and prompts the users. The users can then choose the files, and update them individually. The main highlight of this software is that, it allows you schedule the scan weekly, monthly and so on. They guarantee both your data security and disk stability by fixing up the bugs in drivers. 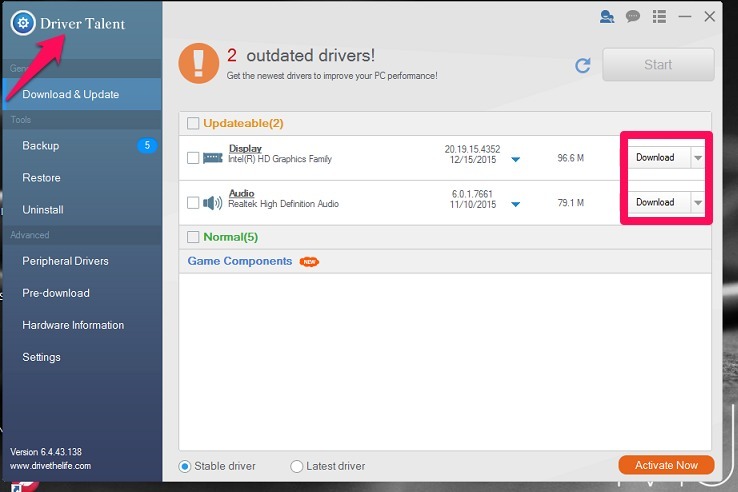 They are available in two different versions- the Free version does update on the most important drivers while the Pro version does a check and update on all available drivers in your system. It also makes takes your gaming experience to greater heights by installing the missing components. You can download it by clicking here – Driver Booster. 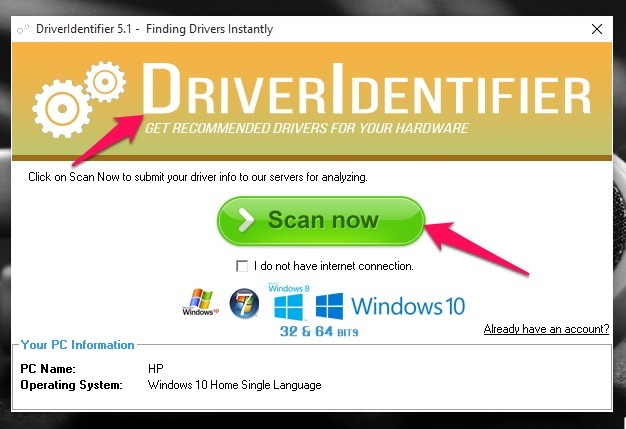 This is another software tool named driver talent that automatically does the scan and checks for outdated drivers. But this is unlike Driver booster where installation files are automatically launched. 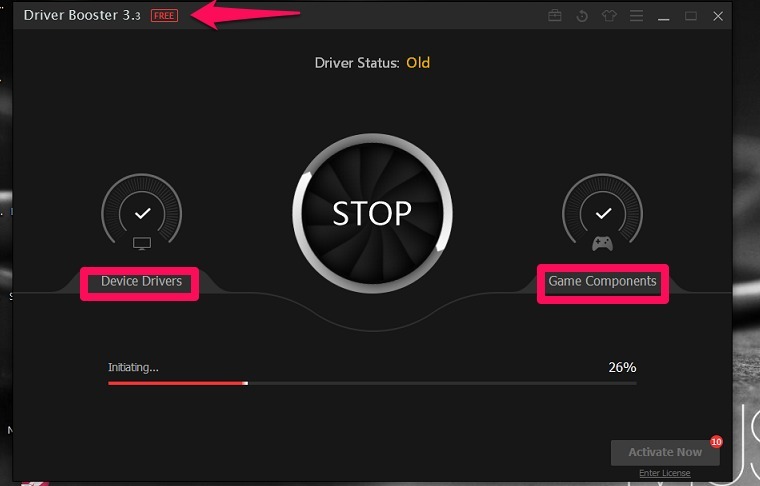 Here, it tells you which drivers are outdated, but doesn’t install them automatically for you. But you needn’t worry. This is only in case of its free version. Once you afford to buy it’s Professional version, then it is super cool. It fixes up all the faulty drives, updates them to latest version, automatically installs all the required files, and keeps your system safe by making up a backup before installation. If anything goes wrong in its way, it automatically restores the system to its original state. The above screenshot gives you a clue on what it is all about, in the Free version. You can download it by clicking here- Driver Talent . It comes to nearly 10 MB. This is a very simple tool that has the easiest user interface of all the tools discussed here. There are chances that network drivers doesn’t get installed when you do an install of Windows on your system, rather than updating it. 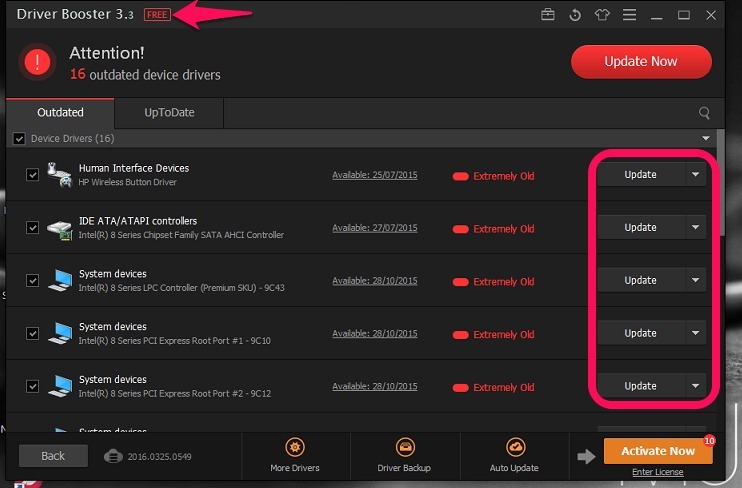 In such cases, this tool is of great help which identifies the missing drivers, provides you a portable file which contains link for downloading the drivers. You might not get Internet due to the unavailability of network drivers. So download them using links, from the file provided by the tool in a computer than has good net connectivity. You can download this simple tool by clicking on the link provided here – Driver Identifier. This is a cool tool that updates the drivers using the cloud technology as well as a real time scanning. Whenever your system is connected to any sort of devices like printers, speakers or any USB device, this scans them,checks if they are outdated and fetches the drivers from the cloud. Also it automatically installs the retrieved files in a perfect manner. Similar to all other tools discussed so far, this software also comes up in two different versions – The free version allows you to update drives individually while the paid version helps you update them as a group, with enhanced features. Once the scanning as shown above finishes up, it prompts you with the updates to be downloaded. This is compatible with both the 32-bit and 64-bit Windows versions. 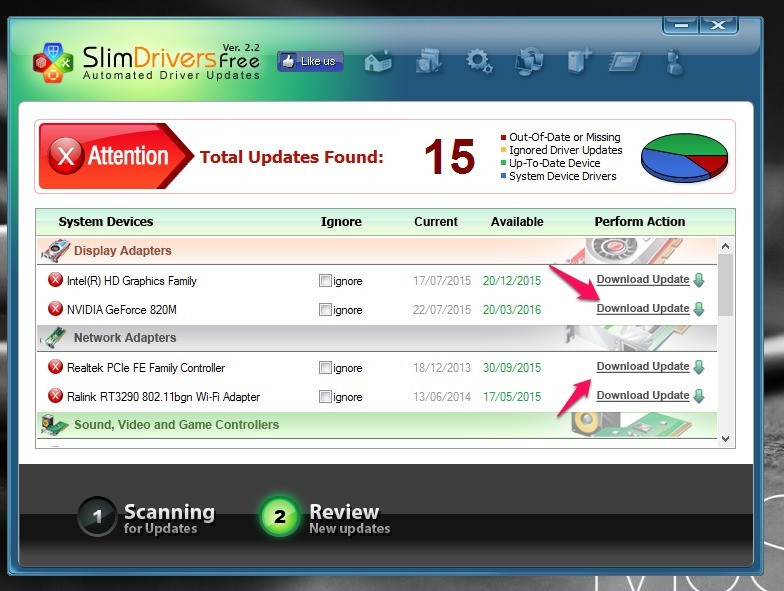 You can download this software by clicking on this link – SlimDrivers. That’s it. Hope you found this article useful!.